The United Bank for Africa Plc (UBA) has open a new branch in the ancient historic land of Mali, a string into North Africa. The Spokeswoman for UBA’s Malian subsidiary, Maimouna El Oumarany said the bank aims at expanding its footprint in a region where it already operates in a dozen countries. 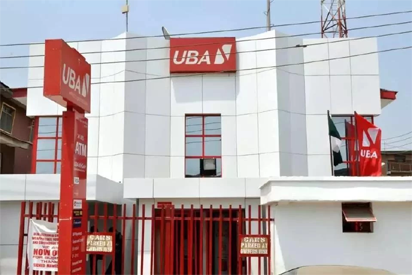 UBA Africa is one of Nigeria’s largest banks with more than 700 branches, has subsidiaries in about 20 countries across Africa and also has subsidiaries in London, Paris and New York. Meanwhile, UBA, in a ground breaking corporate governance, last week became the first quoted company to turn in year-end audited results to the Nigerian Stock Exchange, NSE, with its 2018 full year accounts. It also emerged the first in the history of the Stock Exchange to turn in full year ended December 31 audited results in January, less than one month after year end. This was the same record it hit in 2017 when it came out first with announcement of a full year audited results on February 11, 2017 for the year ended December 31, 2016. In a notification to the NSE, UBA said its Board of Directors has approved its financial statements and payment of dividend to shareholders, subject to the approval of the Central Bank of Nigeria (CBN).